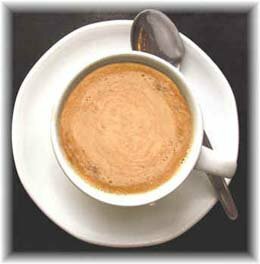 The coffee you can find in the bars and in every Italian home is strictly espresso coffee, the unavoidable daily ritual of each Italian. In this small cup of coffee holds a high level of complexity. The espresso coffee is primarily a solution, because it contains a sum of acids, proteins, sugars fat and other substances. An emulsion, by the presence of oils that enclose the aromas which make the coffee dense. Finally the espresso coffee is a suspension, due to the dense cream layer nut-brown colour that covers. For making an authentic Italian espresso coffee you need also a coffee blend roasted Italian style.